When it comes to utility, there is certainly no match for trucks. But, one thing that matters the most is their price, utility can cost you a fortune. 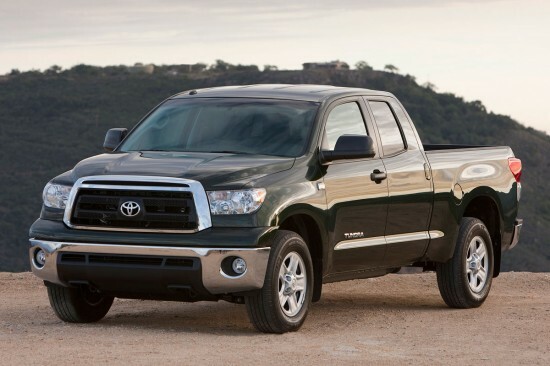 So today, we have a list of the ten least expensive trucks for 2012. 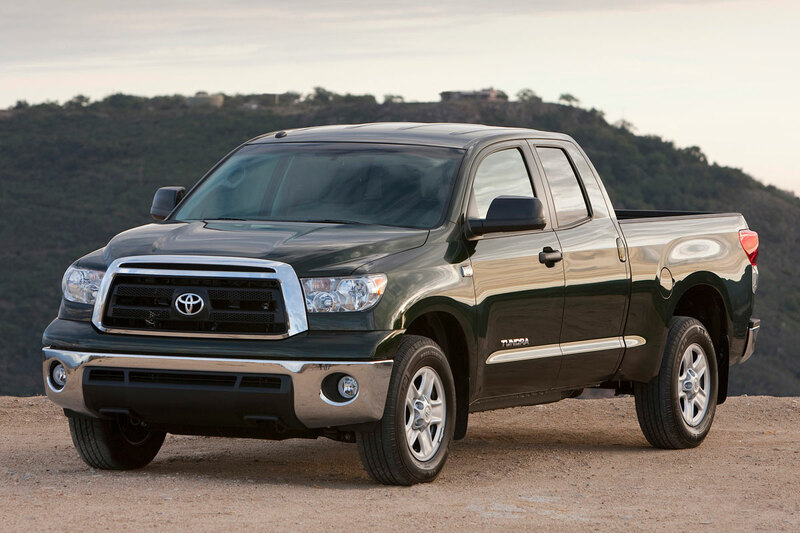 Coming with strong power-train choices and a selection of spacious cabs to deliver a real powerhouse, the 2012 Toyota Tundra comes with choice of 3 engines including a 381-horsepower 5.7-liter V8. This engine produces 381 hp and 401 lb-ft of torque with standard six-speed automatic transmission. The MPG is 14 city and 18 highway for the two-wheel drive and 13 city and 17 highway for the four-wheel version. Available in 4 engine configurations, the F-150 offers a base V6 with more than 300 horsepower, a 360-hp 5.0-liter V8 capable of towing 10,000 pounds, a turbocharged 3.5-liter V6 rated at a 420 pound-feet of torque and a 6.2-liter V8. The V6 does a zero to 60 mph in 8.2 seconds with 17 mpg city/23 mpg highway rating. The 5.0-liter V8 with 360 hp and 380 lb-ft has a rating of 15 city/21 highway while the twin-turbo 3.5-liter V6 rated at 365 hp and 420 lb-ft goes from 0 to 60 in 6.5 seconds at 16 city/22 highway. 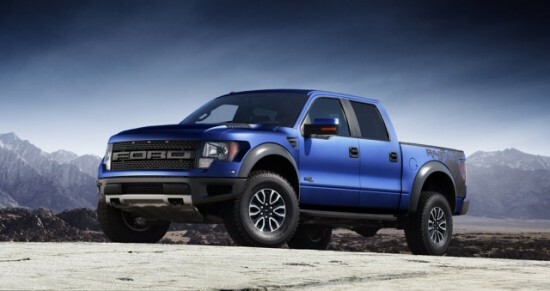 The 6.2-liter V8 makes 411 hp and 434 lb-ft of torque at 13 city and 18 highway (11 city and 16 highway in the Raptor model). 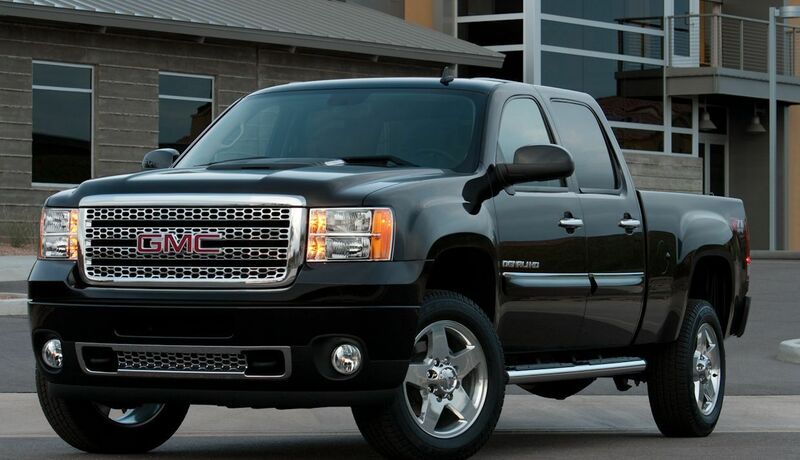 Available with four different engine choices, the GMC Sierra 1500 offers a smooth and quiet ride for a truck. Customers have the following choices of engine: 4.3-liter V6, 4.8-liter V8, 5.3-liter V8 and 6.2-liter V8. The 6.2-liter V8 comes standard on Denali producing 403 hp and 417 lb-ft of torque. The Denali goes from 0 to 60 in 6.6 seconds and can tow up to 10,700 pounds at 12 city and 19 highway. 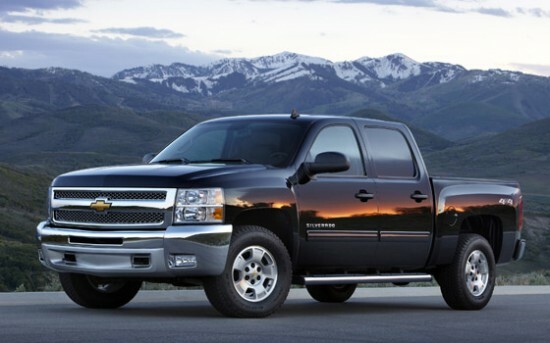 Offering three V8s and one V6, the Silverado 1500, although with limited cabin storage is not a bad choice at all for $21,945. The standard 4.3-liter V6 produces 195 horsepower and 260 pound-feet of torque, with 4.8-liter V8 rated at 302 hp and 305 lb-ft and a 5.3-liter V8 rated at 315 hp and 335 lb-ft. The biggest engine is a 6.2-liter V8 cranking out 403 hp and 417 lb-ft of peak torque. The 6.2-liter V8 accelerates the truck from zero to 60 mph in 6.6 seconds with a MPG rating of 12 city and 19 highway.